More and more increasing personality of Edward Snowden is defined as the analytical and intelligent computer specialist, indifferent to global problems. Probably, what is common to all the characters of the stories of such magnitude, Edward from childhood wanted to leave a mark on the world history. Perhaps this is why, without finishing high school, he tried to become a soldier of Special Forces and later became disillusioned secular and found himself at war of government undercover activities and information. Edward Snowden, a former U.S. Central Intelligence Agency (CIA) technical worker, flew to Hong Kong on 20 May, after publish information related to the U.S. acting data collection of private phone conversations and online activities. 30 year old E. Snowden lived with his girlfriend in Hawaii, but moved to Hong Kong, a special administrative region of China that has its own legal rules and extradition treaty with the United States. There, with his consent, the British newspaper “The Guardian” revealed his identity. After the U.S. filed charges and asked local authorities to extradite him, Mr. Snowden left Hong Kong on 23 June, initially for Moscow but with the intention of seeking asylum in Ecuador. Ecuador’s Foreign Minister Ricardo Patino said that Mr. Snowden’s asylum request was being considered. Journalists who interviewed him at his secret location in Hong Kong described him as “quiet, smart, easy-going and self-effacing master on computers”. Former intelligence analyst Mr. Snowden is accused of theft of government property, unauthorized communication of national defense information and willful communication of classified communications intelligence. Each of the charges carries a maximum 10-year prison sentence. After knowledge that the U.S. has a transfer agreement with Hong Kong, E. Snowden flew on an Aeroflot airplane to Moscow. It is reported that Mr. Snowden grown up in North Carolina, and later moved to Maryland, near the National Security Agency (NSA) headquarters. Described as a medium diligence student, it is told that he studied computer science at the Maryland community college, in order to get the necessary points to obtain a high school diploma. However, the course was never finished. In 2003, E. Snowden joined the American army and when he started training at Special Forces he was discharged when he breaking both his legs in a training accident. E. Snowden admitted that he considered the publicity of the information earlier, but decided to wait and see if Barack Obama’s victory in the 2008 presidential election will change American policy. “B. Obama continued with the policies of his predecessor”, – he said. According to E. Snowden, he left the CIA in 2009 and began working at the NSA as an employee of various outside contractors, including company Booz Allen Hamilton. In a report, the company confirmed that he had been an employee of the firm for less than three months, assigned to a team in Hawaii. 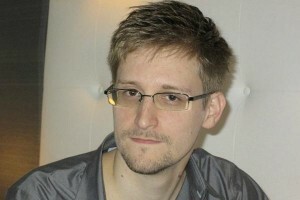 Edward Snowden employed at the U.S. company of government orders carrying out in defense area purposively, in order to gather data of the Washington place spyware. He was formally dismissed on 11 June. According to “Booz Allen Hamilton” data, analyst earned 122 thousand dollars per year. Estate agents revealed that Snowden and his girlfriend left their house in Hawaii on 1 May. Neighbors told ABC that the couple mostly kept the blinds closed and didn’t communicate with almost anyone. E. Snowden’s girl explained that her boyfriend’s sudden disappearance was unexpected for her. Currently, the media publish the news that a former CIA officer, Edward Snowden, hiding in Russia and has already applied for asylum in 21 countries. Reportedly, official requests are sent via the Moscow embassy to these countries: Austria, Brazil, Bolivia, Cuba, Finland, China, France, Italy, Germany, India, Ireland, Netherlands, Nicaragua, Norway, Poland, Spain, Switzerland, Venezuela and Russia. “Wikileaks” spokeswoman Sarah Harrison handed documents on Sunday evening. Miss Harrison has courageously assisted Mr. Snowden with his lawful departure from Hong Kong and is accompanying Mr. Snowden in his passage to safety. Previously announced, the fugitive is in transit area of airport “Sheremetyev”. The media had reported that a former CIA employee has applied for asylum in 15 countries. On 1 July, Monday, V. Putin stated that E. Snowden can stay in Russia but if only he stops publicizing classified information. He also added that the Russian government is not going to issue the American to the U.S.
On Thursday, Russian government officer said that Edward Snowden who caused the United States spy scandal and now is in transit area of Moscow’s airport should migrate to another country. This report shows clearly that U.S. informant becoming more and more undesirable guest because diplomatic defense has already protracted on his fate and in this way it may cause long-term damage to Moscow’s relations with Washington. So far, none of the countries did not agree to grant asylum to American informant.